Chicago Midway International Airport is a major commercial airport on the southwest side of Chicago, Illinois, located eight miles (13 km) from the Loop. Established in 1927, Midway served as Chicago's primary airport until the opening of O'Hare International Airport in 1955. Today, Midway is the second-largest airport in Chicago metropolitan area and the state of Illinois, serving 22,027,737 passengers in 2018. Traffic is currently dominated by low-cost carrier Southwest Airlines; Chicago is Southwest's largest focus city. A mainline flight is a flight operated by an airline's main operating unit, rather than by regional alliances, regional code-shares, regional subsidiaries, or wholly-owned subsidiaries offering low-cost operations. Mainline carriers typically operate between hub airports within their network and on international or long-haul services, using narrow-body and wide-body aircraft. This is in contrast to regional airlines, providing feeder services to hub airports operating smaller turboprop or regional jet aircraft, or low-cost carrier subsidiaries serving leisure markets. An airline alliance is an aviation industry arrangement between two or more airlines agreeing to cooperate on a substantial level. Alliances may provide marketing branding to facilitate travelers making inter-airline codeshare connections within countries. This branding may involve unified aircraft liveries of member aircraft. Ralph H. Burke devised an airport master plan based on the pioneering idea of what he called "split finger terminals", allowing a terminal building to be attached to "airline wings" (concourses), each providing space for gates and planes. (Pre-war airport designs had favored ever-larger single terminals, exemplified by Berlin's Tempelhof.) Other innovations Burke brought to the O'Hare design included underground refueling, direct highway access to the front of terminals, and direct rail access, all of which are utilized at airports worldwide today. O'Hare was the site of the world's first jet bridge in 1958,   and successfully adapted slip form paving, developed for the nation's new Interstate highway system, for seamless concrete runways. However, the biggest factor driving the airlines to O'Hare from Midway was the emergence of commercial jet transports; one-square-mile Midway did not have the space for the lengthy runways the new planes required. While airlines had initially been reluctant to move to O'Hare, they were equally unwilling to split operations between the two airports: in July 1962 the last fixed-wing scheduled airline flight in Chicago moved from Midway to O'Hare. The arrival of Midway's traffic quickly made O'Hare the world's busiest airport, serving 10 million passengers annually. Within two years that number would double, with Chicagoans proudly boasting that more people passed through O'Hare in 12 months than Ellis Island had processed in its entire existence. O'Hare remained the world's busiest airport until 1998. In the 1980s, after passage of US airline deregulation, the first major change at O'Hare occurred when TWA decamped Chicago for St. Louis as its main mid-continent hub. Although TWA had a large hangar complex at O'Hare and had initiated non-stop service to Europe from Chicago using 707s in 1958, by the time of deregulation its operation was losing $25 million a year under intense competition from United and American. Northwest likewise ceded O'Hare to the competition and shifted to a Minneapolis and Detroit-centered network by the early 1990s following its acquisition of Republic Airlines in 1986. Delta maintained a Chicago hub for some time, even commissioning a new Concourse L in 1983. Ultimately, Delta found competing from an inferior position at O'Hare too expensive and closed its Chicago hub in the 1990s, concentrating its upper Midwest operations at Cincinnati. While reducing the practice of banking helped, the reality was that the airfield had remained unchanged since the addition of its last new runway (4R/22L) in 1971. O'Hare's three pairs of angled runways were meant to allow takeoffs into the wind, but they came at a cost: the various intersecting runways were both dangerous and inefficient. In 2001, the Chicago Department of Aviation committed to a O'Hare Modernization Plan (OMP). Initially estimated at $6.6 billion, the OMP was to be paid by bonds issued against the increase in the passenger facility charge enacted that year as well as federal airport improvement funds. 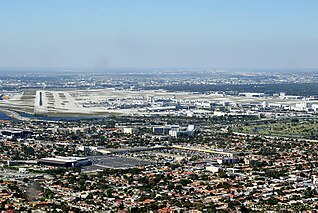 The modernization plan was approved by the FAA in October 2005 and involved a complete reconfiguration of the airfield. The OMP included the construction of four new runways, the lengthening of two existing runways, and the decommissioning of three old runways to provide O'Hare with six parallel runways and two crosswind runways. This was a complete redesign of Burke's basic airfield structure; O'Hare had effectively functioned in a circular manner, with the terminal complex in the center and runways around it. Now, O'Hare would be organized into three sections, north to south: the north airfield, containing three east-west runways, one crosswind runway, and a new cargo area; the terminal complex and ground transportation access in the center; and the south airfield, again containing three east-west runways, a crosswind runway, and a large cargo area. Construction of the two new airfield layouts and the new cargo area, while the space-constrained airport continued full operations, presented significant time and capacity challenges. The north airfield gained runway 9L/27R in 2008, while the south airfield saw the opening of runway 10C/28C in 2013 and runway 10R/28L in 2015. In 2018, the city and airlines signed a definitive agreement to phase I of a new Terminal Area Plan dubbed ORD21. It marks the first comprehensive redevelopment and expansion of the terminal core in O'Hare's history. The improvements are intended to enable same-terminal transfers between international and domestic flights, enable faster connections, improve facilities and technology for TSA and customs inspections, and modernize and expand landside amenities. A principal feature of the plan is the reorganization of the terminal core into an "alliance hub", the first in North America; airside connections and layout will be optimized around airline alliances. This will be made possible by the construction of the O’Hare Global Terminal where Terminal 2 currently stands. The Global Terminal and two new satellite concourses will allow for expansion for both American's and United's international operations as well as easy interchange with their respective Oneworld (American) and Star Alliance (United) partner carriers, eliminating the need to exit the secured airside, ride the ATS, and re-clear security at Terminal 5. Under the reconfiguration, United and its Star Alliance partners will utilize Terminal 1 and the Global Terminal, American and its Oneworld partners will use the Global Terminal and Terminal 3, while Delta and its SkyTeam partners, as well as non-affiliated carriers, will relocate to Terminal 5. Concourses B and C are linear concourses located in separate buildings parallel to each other. Concourse B is adjacent to the airport roadway and houses passenger check-in, baggage claim, and security screenings on its landside and aircraft gates on its airside. Concourse C is a satellite terminal with gates on all sides, in the middle of the ramp, and is connected to Concourse B via an underground pedestrian tunnel under the ramp. The tunnel originates between gates B8 and B9 in Concourse B, and ends on Concourse C between gates C17 and C19. The tunnel is illuminated with a neon installation titled Sky's the Limit (1987) by Canadian artist Michael Hayden, which plays an airy and very slow-tempo version of Rhapsody in Blue . O'Hare features two sets of parallel runways, one on either side of the terminal complex. The north airfield has two parallel east-west runways (9L/27R and 9R/27L), with forthcoming 9C/27C scheduled for completion in 2020. The south airfield, where the O'Hare Modernization Program (OMP) is largely complete, has three parallel east-west runways (10L/28R, 10C/28C, and 10R/28L). In addition, there are two parallel crosswind runways oriented northeast/southwest (4R/22L, 4L/22R), one on each side of the airport. The north crosswind runway, 4L/22R, actually intersects 9R/27L and forthcoming 9C/27C, limiting its use;  however, runway 22L is often used for takeoffs during "west flow" on the main runways. Each side of the airfield has its own ground control tower. The new MMF opened in October 2018 and is the home of all on-airport car rental firms as well as some extended parking. Rental customers now proceed from the terminal to the MMF via shuttle bus. After the completion of the ATS project in late 2019, it is anticipated that all shuttle bus service to the terminals will end, eliminating some 1.3 million bus trips yearly. In addition, the O'Hare Transfer station of Metra's North Central Service is located at the northeast corner of the MMF. The CTA Blue Line's terminus is at O'Hare and provides direct service to the Dearborn Street subway in the Loop and to Forest Park. Trains depart at intervals ranging from every 4 to 30 minutes, 24 hours a day. The station is located on the lower level of the parking garage, and can be accessed directly from Terminals 1-3 via tunnel and from Terminal 5 via shuttle bus. ^1 : Ethiopian Airlines' flight from Addis Ababa to O'Hare stops at Dublin,  but the flight from O'Hare to Addis Ababa is nonstop. Miami International Airport, also known as MIA and historically as Wilcox Field, is the primary airport serving the Miami area, with over 1,000 daily flights to 167 domestic and International destinations. The airport is in an unincorporated area in Miami-Dade County, Florida, 8 miles (13 km) northwest of Downtown Miami, in metropolitan Miami, between the cities of Miami, Hialeah, Doral, Miami Springs, the village of Virginia Gardens, and the unincorporated Fontainebleau neighborhood. Portland International Airport is a joint civil-military airport and the largest airport in the U.S. state of Oregon that accounts for 90% of passenger air travel and more than 95% of air cargo of the state. It is within Portland's city limits just south of the Columbia River in Multnomah County, 6 miles by air and 12 mi (19 km) by highway northeast of downtown Portland. Portland International Airport is often referred to by its IATA airport code, PDX. The airport covers 3,000 acres of land. Newark Liberty International Airport, originally Newark Metropolitan Airport and later Newark International Airport, is one of the major airports of the Port Authority of New York and New Jersey and is located in the U.S. state of New Jersey. The airport straddles the boundary between the cities of Newark and Elizabeth, the former of which is the most populous city in the state. The airport is owned jointly by the cities of Elizabeth and Newark and leased to and operated by the Port Authority of New York and New Jersey. Philadelphia International Airport, often referred to just by its IATA code PHL, is a major airport in Philadelphia, Pennsylvania, United States, and is the largest airport in the state. The airport is the main Northeast hub for American Airlines and a regional cargo hub for UPS Airlines. Philadelphia International Airport is also a focus city for ultra low-cost airline Frontier. Memphis International Airport is a civil-military airport seven miles (11.2 km) southeast of downtown Memphis in Shelby County, Tennessee, United States. Salt Lake City International Airport is a civil-military airport located about 4 miles (6.4 km) west of Downtown Salt Lake City, Utah in the United States. The airport is the closest commercial airport for more than 2.5 million people and is within a 30-minute drive of nearly 1.3 million jobs. 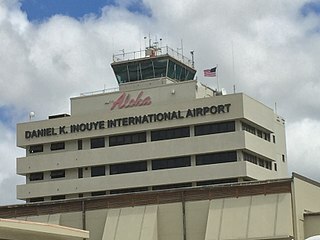 Daniel K. Inouye International Airport, also known as Honolulu International Airport, is the principal aviation gateway of the City and County of Honolulu on Oahu in the State of Hawaii. It is identified as one of the busiest airports in the United States, with traffic now exceeding 21 million passengers a year and rising. Cincinnati/Northern Kentucky International Airport is a public international airport located in Hebron, Kentucky, United States. It serves the Greater Cincinnati metropolitan area. The airport's code, CVG, comes from the nearest city at the time of its opening, Covington, Kentucky. CVG covers an area of 7,000 acres. The airport houses the headquarters for Amazon Air, Delta Private Jets, DHL Americas, and Southern Air. Norfolk International Airport is three miles (6 km) northeast of downtown Norfolk, an independent city in Virginia. It is owned by the city of Norfolk and operated by the Norfolk Airport Authority: a bureau under the municipal government. The airport serves the Hampton Roads metropolitan area of southeast Virginia as well as northeast North Carolina. San Antonio International Airport is an international airport in San Antonio, Texas. It is in Uptown Central San Antonio, about 8 miles north of Downtown. It has three runways and covers 2,305 acres. Its elevation is 809 feet (247 m) above sea level. Greenville–Spartanburg International Airport is near Greer, South Carolina, midway between Greenville and Spartanburg, the major cities of the Upstate region. The airport is the second-busiest airport in South Carolina, after Charleston International Airport, with about 2.31 million passengers in 2018. Charleston International Airport is a joint civil-military airport located in North Charleston, South Carolina. The airport is operated by the Charleston County Aviation Authority under a joint-use agreement with Joint Base Charleston. It is South Carolina's largest and busiest airport; in 2018 the airport served nearly 4.5 million passengers in its busiest year on record. The airport is located in North Charleston and is approximately 12 miles (19 km) northwest of downtown Charleston. The airport is also home to the Boeing facility that assembles the 787 Dreamliner. Boise Airport is a joint civil-military airport three miles south of Boise in Ada County, Idaho, United States. The airport is operated by the city of Boise Department of Aviation and is overseen by an Airport Commission. It is by far the busiest airport in the state of Idaho, serving more passengers than all other Idaho airports combined and roughly ten times as many passengers as Idaho's second busiest airport, Idaho Falls Regional Airport. Eppley Airfield is a medium hub, international airport three miles northeast of downtown Omaha, Nebraska, in Douglas County, Nebraska, United States. It is the largest airport in Nebraska, serving ten times more passengers than all other Nebraska airports combined. Palm Springs International Airport, formerly Palm Springs Municipal Airport, is two miles (3 km) east of downtown Palm Springs, California. The airport covers 940 acres (380 ha) and has two runways. The facility operates year-round, with most flights occuring in the fall, winter, and spring. Lester B. Pearson International Airport, corporately branded as Toronto Pearson International Airport, is the primary international airport serving Toronto, its metropolitan area, and surrounding region known as the Golden Horseshoe in the province of Ontario, Canada. It is the largest and busiest airport in Canada, the second-busiest international air passenger gateway in the Americas, and the 31st-busiest airport in the world by passenger traffic, handling 49.5 million passengers in 2018. The airport is named in honour of Lester B. Pearson, Nobel Peace Prize laureate and 14th Prime Minister of Canada. 1 2 Harden, Mark (September 30, 2014). "Frontier Airlines making Chicago's O'Hare a focus". Chicago Business Journal . Retrieved September 30, 2014. 1 2 Bhaskara, Vinay (October 1, 2014). "Spirit Airlines Adds Two New Routes at Chicago O'Hare". Airways News. Archived from the original on October 3, 2014. Retrieved October 1, 2014. 1 2 FAA Airport Master Record for ORD ( Form 5010 PDF ), effective March 15, 2007. ↑ "About the CDA". flychicago.com. City of Chicago Department of Aviation. Retrieved 3 May 2018. ↑ "Non-stop Service". flychicago.com. Chicago Department of Aviation. Retrieved 26 March 2019. ↑ Associated Press. "O'Hare to offer 1st direct Chicago-to-Africa flights". chicagotribune.com. tronc. Retrieved 1 April 2018. 1 2 3 4 5 6 7 Petchmo, Ian. "The Fascinating History Chicago's O'Hare International Airport: 1920-1960". airwaysmag.com. Airways International Inc. Retrieved 7 April 2018. 1 2 "62 Fighter Squadron (AETC)". Air Force Historical Research Agency. United States Air Force. Retrieved 11 May 2018. ↑ Burley, Paul. "Ralph H. Burke: Early Innovator of Chicago O'Hare International Airport". www.library.northwestern.edu. Northwestern University. Retrieved 10 May 2018. ↑ "Preliminary world airport traffic rankings released". aci.aero. ACI World. Retrieved 25 March 2019. ↑ "The fleet and hubs of United Airlines, by the numbers". ↑ "Chicago, IL: O'Hare (ORD)". Bureau of Transportation Statistics . U.S. Department of Transportation. Retrieved September 1, 2015. 1 2 Petchmo, Ian. 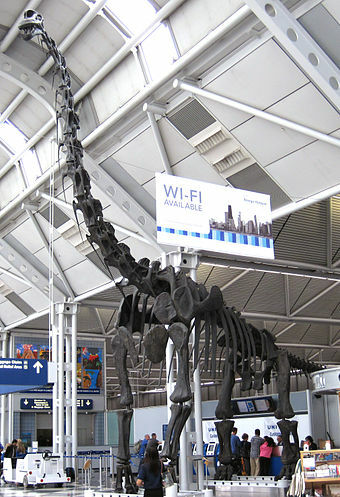 "The Fascinating History Chicago's O'Hare International Airport: 2000 to Present". www.airwaysmag.com. Airways International, Inc. Retrieved 10 May 2018. 1 2 Spielman, Fran. "City Council approves $8.5 billion O'Hare expansion plan by 40-to-1 vote". chicago.suntimes.com. Chicago Sun-Times. Retrieved 1 April 2018. ↑ "The Early Years: Major Commands" (PDF). Air Force Association. Air Force Association. Retrieved 31 August 2018. ↑ "Messerschmitt Me 262 A-1a Schwalbe (Swallow)". Smithsonian: National Air & Space Museum. Smithsonian Institution. Retrieved 24 May 2018. ↑ "Junkers Ju 388 L-1". Smithsonian: National Air & Space Museum. Smithsonian Institutuion. Retrieved 24 May 2018. 1 2 "The Wacky Logic Behind Airport Codes". ABC.com. Retrieved 7 August 2017. ↑ "ABSTRACT". airforcehistoryindex.org. US Air Force. ↑ "1,000 Bid Farewell To O'hare's Air Force Reserve Base". chicagotribune.com. tronc. Retrieved 1 April 2018. ↑ "Briefings... (pg. 58)". Flying Magazine (Vol, 62, No. 6). Ziff-Davis Publishing Co. Google. June 1, 1958. Retrieved 13 August 2018. ↑ "Airport's Mobile Covered Bridge". Life Magazine (Vol. 44, No. 16). Time-Life Publishing. April 21, 1958. ↑ "YESTERDAY'S CITY – Part III". polishnews.com. MH Magazine. Retrieved 7 April 2018. 1 2 "O'Hare History". Fly Chicago. Chicago Department of Aviation. Archived from the original on September 24, 2015. Retrieved September 1, 2015. ↑ "Airports for the Jet Age: The U.S. Is Far from Ready". Time Magazine. October 21, 1957. Retrieved July 15, 2012. ↑ "Break Ground at O'Hare for Terminal Unit". Chicago Daily Tribune . April 2, 1959. Retrieved July 2, 2012. ↑ "TWA Routes". Airways News. January 1, 1987. Retrieved July 15, 2012. ↑ "THE AIRLINE BATTLE AT O'HARE". nytimes.com. The New York Times Company. Retrieved 1 April 2018. ↑ "North America Nonstop Routes". Airways News. 1994. Retrieved July 15, 2012. 1 2 Petchmo, Ian. "The Fascinating History Chicago's O'Hare International Airport: 1960-2000". airwaysmag.com. Airways International, Inc. Retrieved 7 April 2018. ↑ Washburn, Gary (August 4, 1987). "United's Flashy Terminal Ready For Takeoff". Chicago Tribune. Retrieved July 2, 2012. 1 2 McGovern-Petersen, Laurie (2004). "Chicago O'Hare International Airport". In Sinkevitch, Alice. AIA Guide to Chicago (2nd ed.). Orlando, Florida: Harcourt. p. 278. ISBN 0-15-602908-1 . Retrieved February 8, 2013. ↑ "Chicago, IL: Chicago O'Hare International (ORD)". Bureau of Transportation Statistics. Retrieved November 3, 2010. ↑ Hilkevitch, Jon. "Regional jets jam O'Hare". chicagotribune.com. Chicago Tribune. Retrieved 31 March 2018. ↑ "Lessons Learned From the Chicago O'Hare Modernization Program" (PDF). enotrans.com. Eno Center for Transportation. Retrieved 6 April 2018. ↑ "Runway realignment at O'Hare (map)". chicagotribune.com. Chicago Tribune. ↑ "Map of new runway opened at O'Hare airport". Chicago Tribune. Retrieved 2018-03-16. ↑ "FUELING CHICAGO'S ECONOMIC ENGINE: INVESTING IN O'HARE BRINGS BENEFITS TO THE REGION" (PDF). www2.deloitte.com. City of Chicago Department of Aviation. Retrieved 1 April 2018. ↑ "O'Hare's Ranking for On-Time Flights Has Dramatically Improved". flychicago.com. Chicago Department of Aviation. Retrieved 5 April 2018. ↑ "Ranking of Major Airport On-Time Arrival Performance in December 2017". BTS.gov. Bureau of Transportation Statistics. Retrieved 4 April 2018. ↑ "O'Hare Modernization Update" (PDF). theconf.com. Chicago Department of Aviation. Retrieved 2 April 2018. ↑ Byrne, Ruthhart, John, Bill. "$4 billion bond approval earns Emanuel key victory as council green lights O'Hare overhaul". chicagotribune.com. tronc. Retrieved 1 April 2018. ↑ "Mayor Emanuel and Airlines Sign Historic $8.5 Billion Agreement to Transform Chicago O'Hare International Airport". cityofchicago.org. City of Chicago. Retrieved 1 April 2018. ↑ "Here's What's Happening". flychicago.com. Chicago Department of Aviation. Retrieved 21 March 2019. ↑ Genter, JT. "9 Things To Know About American Airlines' New Gates at Chicago O'Hare". thepointsguy.com. The Points Guy, LLC. Retrieved 1 April 2018. ↑ "City of Chicago Announces Selection of Studio ORD to Lead Historic O'Hare Expansion". flychicago.com. Chicago Department of Aviation. Retrieved 27 March 2019. ↑ "Studio Gang to design Chicago O'Hare airport terminal". dezeen.com. Retrieved 6 April 2019. ↑ "Facility Data". flychicago.com. Chicago Department of Aviation. Retrieved 28 December 2018. ↑ "United Club & Airport Lounge Locations | United Airlines". www.united.com. Retrieved February 11, 2018. ↑ "9K1525 Cape Air flight - Today - Chicago O'Hare Airport (ORD)". Airport-ohare.com. Retrieved 2018-11-17. ↑ "Chicago O'Hare International Airport (ORD) Admirals Club locations" . Retrieved February 15, 2017. ↑ "Frontier Airlines Moves to Terminal 5 at O'Hare International Airport". flychicago.com. Chicago Department of Aviation. Retrieved 4 June 2018. ↑ "Here's What's Happening". flychicago.com. Chicago Department of Avaition. Retrieved 21 March 2019. ↑ "O'Hare Modernization Final Environmental Impact Statement, Appendix F, Table F-39" (PDF). faa.gov. 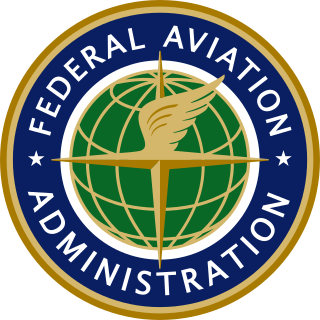 Federal Aviation Administration. Retrieved 5 April 2018. ↑ von Wedelstaedt, Konstantin. "Aerial photo of O'Hare Airport August 8, 2018". Airliners.net. © Konstantin von Wedelstaedt. Retrieved 31 August 2018. ↑ "KORD Airport Diagram effective March 29 - April 20" (PDF). Archived from the original (PDF) on 2018-03-30. Retrieved 30 March 2018. ↑ "Fly Quiet Program". flychicago.com. City of Chicago Department of Aviation. Retrieved 1 April 2018. ↑ "Multi-Modal Facility". flychicago.com. Chicago Department of Aviation. Retrieved 9 March 2019. ↑ "Bombardier to Supply INNOVIA Automated People Mover System to Chicago O'Hare International Airport". bombardier.com. Bombardier Transportation. Retrieved 1 April 2018. ↑ "Transportation Between Terminals (ATS & TTB)". flychicago.com. Chicago Department of Aviation. Retrieved 25 December 2018. ↑ "Multi-Modal Facility". flychicago.com. Chicago Department of Aviation. Retrieved 20 November 2018. ↑ "Blue Line Trains" (PDF). transitchicago.com. Chicago Transit Authority. Retrieved 20 November 2018. ↑ "Parking". flychicago.com. Chicago Department of Aviation. Retrieved 20 November 2018. ↑ Hinz, Greg. "City inks new deal with Hilton to run upgraded O'Hare hotel". chicagobusiness.com. Crain Communications, Inc. Retrieved 10 April 2019. 1 2 "Chicago O'Hare International Airport: Advanced Airfield Familiarization Manual" (PDF). flychicago.com. Chicago Department of Aviation. Retrieved 2 April 2018. ↑ Desormeaux, Hailey (2016-12-22). "O'Hare opens new cargo center | News". American Shipper. Retrieved 2018-03-16. ↑ DVV Media Group GmbH. "Chicago opens second phase of cargo expansion ǀ Air Cargo News". Aircargonews.net. Retrieved 2018-03-16. ↑ Burns, Justin. "Chicago O'Hare opens second phase of new cargo facility". aircargoweek.com. Azura International. Retrieved 2 April 2018. ↑ "Cargo". flychicago.com. Chicago Department of Aviation. Retrieved 2 April 2018. ↑ "USO". flychicago.com. Chicago Department of Aviation. Retrieved 7 August 2018. 1 2 "Flight Schedules". Air Canada. ↑ "Air Choice One Destinations" . Retrieved 17 March 2018. ↑ "Air France flight schedule". Air France. ↑ "Air India Chicago". Air India. ↑ "Flight schedules - Air New Zealand" . Retrieved 27 March 2018. ↑ "Flight Timetable" . Retrieved 17 March 2018. ↑ "FLIGHT SCHEDULE AND OPERATIONS" . Retrieved 17 March 2018. ↑ "Timetables [International Routes]" . Retrieved 17 March 2018. ↑ "Newsroom - American Airlines Expands European Footprintand Modifies Asia Service - American Airlines Group, Inc". News.aa.com. 2018-08-21. Retrieved 2018-11-17. 1 2 "Flight schedules and notifications" . Retrieved 17 March 2018. ↑ "American Airlines to Offer Service from Erie to Charlotte and Chicago, Discontinue Flights to Philadelphia - Erie News Now | WICU and WSEE in Erie, PA". Erie News Now. 2018-10-31. Retrieved 2018-11-17. ↑ "American to add seasonal Chicago O'Hare – Quebec City service". World Airline News. November 19, 2018. ↑ "Routes of Service". Archived from the original on 2018-03-17. Retrieved 17 March 2018. ↑ "Austrian Timetable". Austrian Airlines. ↑ "Avianca Drops Boston and Chicago in network cuts" . Retrieved 30 March 2019. 1 2 ""Avianca Holdings cancela 10 rutas internacionales y una nacional"" . Retrieved March 23, 2019. ↑ "Bahamasair" . Retrieved 17 March 2018. ↑ "Flight Status" . Retrieved 17 March 2018. ↑ "Flight Timetable". Cathay Pacific. ↑ "Cayman Airways Flight Schedule" . Retrieved 17 March 2018. ↑ "Schedules and Timetable". China Eastern Airlines. ↑ "Flight Schedule". Copa Airlines. 1 2 "FLIGHT SCHEDULES" . Retrieved 17 March 2018. ↑ "Delta adds more key markets for Boston customers: Chicago, Cleveland, Newark and Washington, D.C. | Delta News Hub". News.delta.com. 2018-12-06. Retrieved 2018-12-10. ↑ "El Al adds Chicago service from late March 2020". AirlineRoute. March 24, 2019. Retrieved March 24, 2019. ↑ "Flight Schedule". El Al. ↑ "Schedule - Fly Ethiopian" . Retrieved 17 March 2018. ↑ "Flight Timetables". Etihad Airways. ↑ "Timetables and Downlaods". EVA Air. ↑ "Finnair flight timetable" . Retrieved 17 March 2018. ↑ "Frontier Airlines adds Branson service from May 2019". Routes Onle. January 2019. Retrieved January 19, 2019. ↑ "Frontier" . Retrieved 17 March 2018. ↑ "Flight Schedule". Hainan Airlines. ↑ "Flight times - Iberia" . Retrieved 17 March 2018. ↑ "Japan Airlines Timetables" . Retrieved 17 March 2018. ↑ "JetBlue Airlines Timetable" . Retrieved 17 March 2018. ↑ "View the Timetable". KLM. ↑ "Flight Status and Schedules". Korean Air. ↑ "Timetables". LOT Polish Airlines. ↑ "Timetable - Lufthansa Canada". Lufthansa. ↑ Mutzabaugh, Ben (February 15, 2019). "Norwegian Air adds new Athens, Barcelona routes; fares from $159". USA TODAY . Gannett Satellite Information Network, LLC. Retrieved February 15, 2019. ↑ "Norwegian Air Shuttle Destinations" . Retrieved March 17, 2018. ↑ "Route Map". Royal Jordanian Airlines. Retrieved 5 April 2017. ↑ "Timetable - SAS" . Retrieved 17 March 2018. ↑ Ohnesorge, Lauren. "Spirit Airlines to debut at RDU with seven nonstop flights". Triangle Business Journal. BizJournals. Retrieved 15 January 2019. ↑ "Where We Fly". Spirit Airlines. Retrieved 17 March 2018. ↑ "Route Map & Flight Schedule" . Retrieved 17 March 2018. ↑ "Timetable" . Retrieved 17 March 2018. ↑ "TAP Air Portugal coming to O'Hare in June, with first direct flight to Lisbon". Chicago Tribune. Retrieved 29 November 2018. ↑ "Flight Schedule". TAP Air Portugal. Retrieved 29 November 2018. ↑ "Online Flight Schedule". Turkish Airlines. 1 2 "Timetable" . Retrieved March 17, 2018. ↑ "United further expands North America markets in S19". RoutesOnline. December 25, 2018. Retrieved December 25, 2018. 1 2 "Volaris schedules new US routes in 2019". Routes Online. March 2019. Retrieved March 18, 2019. ↑ "Volaris Flight Schedule" . Retrieved 17 March 2018. ↑ "Our Network" . Retrieved 12 September 2017. ↑ "China Southern Cargo Schedule". Archived from the original on January 19, 2014. Retrieved March 28, 2013. ↑ "SkyCargo Route Map". Emirates SkyCargo. Retrieved May 9, 2013. ↑ "City of Chicago Welcomes LATAM Cargo to O'Hare International Airport". flychicago.com. Chicago Department of Aviation. Retrieved 26 February 2019. ↑ Malinowski, Łukasz (February 14, 2012). "Cargo Jet i PLL LOT Cargo uruchomiły trasę z Pyrzowic do Chicago" [Jet Cargo and LOT Polish Airlines Cargo Has Launched a Route from Katowice to Chicago] (Press release) (in Polish). Katowice International Airport. Retrieved July 15, 2012. ↑ "The customized AeroLogic network". Aero Logic. Retrieved August 13, 2013. ↑ "Edmonton adds to cargo load with a regular flight to Tokyo - Edmonton". Globalnews.ca. 2017-08-14. Retrieved 2018-03-16. ↑ Quantas Freight International Network Map (PDF) (Map). Quanta Freight. Archived from the original (PDF) on September 24, 2015. Retrieved September 1, 2015. ↑ "Qantas flight QF 7552 schedule". 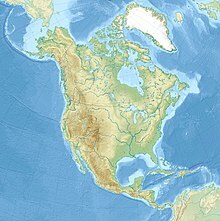 Info.flightmapper.net. April 27, 2016. Retrieved 2016-04-27. ↑ "Qantas Freight Launches Chongqing Route". Air Cargo World. April 19, 2012. Retrieved July 15, 2012. ↑ "Qantas Freighter Network Northern Summer Schedule 2010" (PDF). Qantas Freight. June 2010. Archived from the original (PDF) on December 30, 2010. Retrieved July 15, 2012. ↑ "Qatar Airways to Begin Chicago Freighter Service". AMEinfo. August 2, 2010. Archived from the original on August 3, 2010. Retrieved November 3, 2010. ↑ "Qatar Airways to begin Chicago freighter service". Air Cargo News. August 10, 2010. Retrieved September 1, 2015. ↑ "Qatar Airways to Start Milan-Chicago Freighter Service". The Journal of Commerce . June 6, 2013. Retrieved June 29, 2013. ↑ "Silk Way Launches Direct Flights to Chicago". September 23, 2016. Archived from the original on October 1, 2016. Retrieved October 2, 2016. ↑ "Singapore Airlines Cargo". Singapore Airlines Cargo. September 2015. Archived from the original on May 17, 2013. Retrieved June 10, 2013. ↑ "Turkish freighter goes to Chicago". Air Cargo News. April 7, 2015. Retrieved April 12, 2015. ↑ "Turkish Airlines Cargo added new destinations from 2018". Routesonline.com. Retrieved 2018-03-16. ↑ "Chicago, IL: O'Hare (ORD)". Bureau of Transportation Statistics . U.S. Department of Transportation. Retrieved January 31, 2019. ↑ "RITA | BTS | Transtats". Transtats.bts.gov. Retrieved 16 April 2019. ↑ "Air Traffic Data". www.flychicago.com. Retrieved April 15, 2018. ↑ Baskas, Harriet. "Bee colonies take flight once more, with some help from airport apiaries". cnbc,com. CNBC, LLC. Retrieved 2 April 2018. ↑ "Apiary: The First Major On-Airport Apiary in the U.S." flychicago.com. Chicago Department of Aviation. Retrieved 2 April 2018. ↑ "Chicago Department of Aviation Welcomes the Grazing Herd Back to O'Hare". flychicago.com. Chicago Department of Aviation. Retrieved 1 September 2018. ↑ "Grazing Herd". flychicago.com. Chicago Department of Aviation. Retrieved 1 April 2018. ↑ "Chicago–O'Hare International Airport, IL profile". Aviation Safety Network. July 13, 2008. Retrieved November 3, 2010. ↑ "ASN Aircraft accident Lockheed L-188C Electra N137US Chicago–O'Hare International Airport, IL (ORD)". Aviation Safety Network. Retrieved July 15, 2012. ↑ "ASN Aircraft accident Boeing 727–22 N7036U Lake Michigan, MI". Aviation Safety Network. Retrieved July 15, 2012. ↑ "ASN Aircraft Accident Boeing 727–22 Chicago–O'Hare International Airport". Aviation Safety Network. Retrieved July 15, 2012. ↑ "ASN Aircraft accident Convair CV-580 N2045 Chicago–O'Hare International Airport, IL (ORD)". Aviation Safety Network. Retrieved November 3, 2010. ↑ "ASN Aircraft accident McDonnell Douglas DC-9-31 N954N Chicago–O'Hare International Airport, IL (ORD)". Aviation Safety Network. December 20, 1972. Retrieved November 3, 2010. ↑ "ASN Aircraft accident McDonnell Douglas DC-10-10 N110AA Chicago – O'Hare International Airport, IL (ORD)". Aviation Safety Network. Retrieved November 3, 2010. ↑ Franklin, Cory (May 24, 2015). "Commentary: American Airlines Flight 191 still haunts". Chicago Tribune. Retrieved September 1, 2015. ↑ "ASN Aircraft accident Boeing KC-135A-BN Stratotanker 58-0031 Greenwood, IL". Aviation Safety Network. Retrieved November 3, 2010. ↑ "ASN Aircraft accident Boeing 727 N845AA Chicago–O'Hare International Airport, IL (ORD)". Aviation Safety Network. Retrieved November 3, 2010. ↑ "Uncontained Engine Failure and Subsequent Fire American Airlines Flight 383 Boeing 767-323, N345AN" (PDF). ntsb.gov. National Transportation Safety Board. Retrieved 4 April 2018. As of 2019 [update] only O'Hare, and Midway, and Rockford have commercial airline service; Gary previously had airline service but does not have any, and Meigs Field no longer exists.